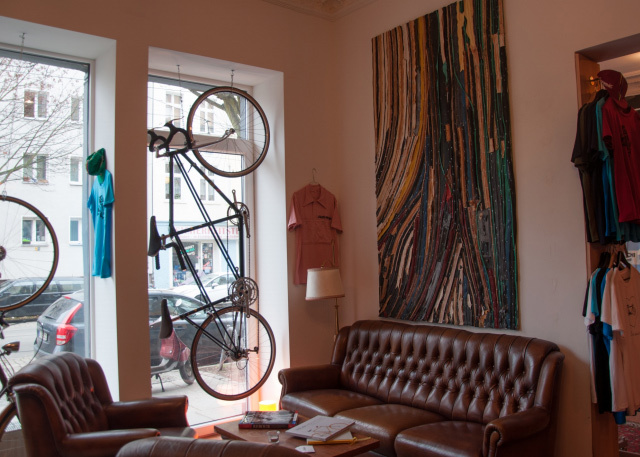 Home / #Cafes / #Food / #Friedrichshain / #Places / #Social / #Startups / Daniyal Waseem / Do You Love Vintage Bikes & Great Coffee? Do You Love Vintage Bikes & Great Coffee? Bikes are embedded in Berlin's culture so deep that they are not just an accessory to get from point A to point B, but they are being loved like artists would love their instruments. I once shared a flat with a very cool guy Nikalas in Wedding, who would spend most the day working and customising his vintage bike. Honestly, that was the first time I realised Berliners had such passion or sometimes obsession with those rare vintage bikes. That was almost three years ago and since then the subject has become so normal that I never really thought about it anymore until the last week when I came across the crowd funding campaign of Steel Vintage Bikes Café. These guys at Steel Vintage Bikes Café really wants to take their love for vintage steel bikes to the next level in the coolest way possible. And they want to add another element of passion to the love of vintage bikes: coffee! Although coffee is not very Berlin, why not? 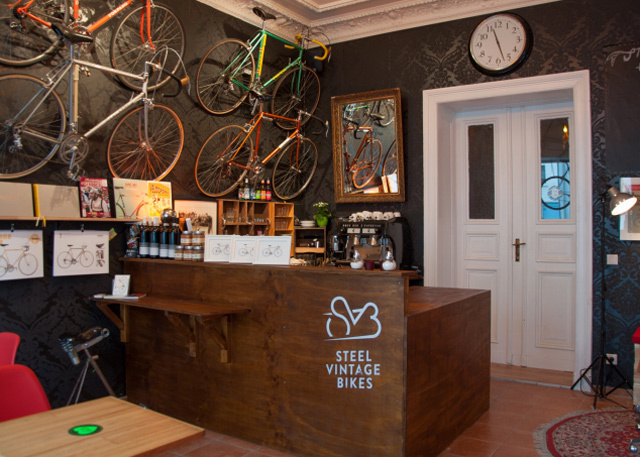 We all love it, especially to keep our day going in the gloomy Berliner winter and besides, it‘s another way to socialize which is the whole idea behind Steel Vintage Bikes Café. 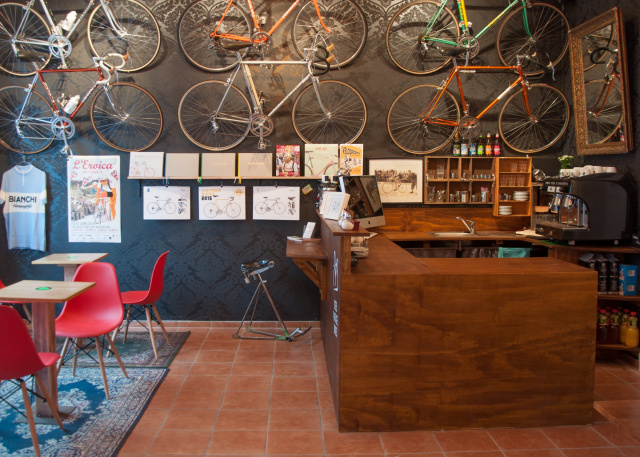 The concept behind this exclusive Café is pretty simple - it’s a café in a vintage bike shop! Its a place where the vintage bike lovers can hang out with like-minded, chat about the bikes they own or love, look at the bikes displayed in the cafe and if they like, they can buy them. Even if you are a big time bike lover, they have some mean home-made snacks and cakes which will force you to hang out there more often. He is a passionate cyclist, and founded Steel Vintage Bikes in 2011. He wanted to create the ultimate destination, stocking the best vintage cycling brands, such as Bianchi, Frejus, Tommasini, Eddy Merckx and Alberto Masi. His shop offers not only bicycles but also bike components, accessories, spares and services, and he decided to extend it with the café in summer 2014. She is the project manager, recently joined the Steel Vintage Bikes team to help develop the cycle café project. “We want to keep going and to grow our initial vision,” she explains. “To do that we need your support and engagement”. Steel Vintage Bikes Café has to expand and remodel its current kitchen. Their new and improved café will serve more guests with more seats, enhanced service and an expanded menu. With its cycling theme, the café will undoubtedly become a haven for cyclists, but the Steel Vintage Bikes team are committed to creating a ‘community hub’ which will appeal to residents and their families, as well as visitors and commuters. “We’ll make a simple promise to our customers - to deliver a high quality experience at every level and be accessible to all,” says Lee. The project need to raise a total of 18,000 euros with a minimum of 10,000 from crowd funding. The campaign on StartNext is having 5 more days to reach the target and we wish them luck. The rest 8,000 will come from a combination of grants, personal savings and loans from individual supporters. Checkout the StartNext crowdfunding campagn of Steel Vintage Bikes Café.